OMEGA Processing Solutions is headed to Transact16, the only payments industry show where all the players come together to meet, partner and drive innovation. Presented by the Electronic Transactions Association (ETA), Transact16 boasts 4,000+ attendees, 200+ exhibitors and over 55,000 feet of exhibitor space. In addition, daily keynote sessions will feature discussions from industry-leading companies, including VeriFone, Discover and First Data. And then, there’s the exhibit floor, where the industry’s latest, cutting-edge technology can be experienced. In fact 70% of Transact16 attendees ranked the exhibit floor as the most valuable aspect of the show. OMEGA Processing Solutions will be reporting “live” from the show all week, sharing our insights. We’re looking forward to a valuable week, and — most importantly — coming home and putting our new knowledge to work. Electronic Transactions Association recently launched SellSafeInfo.org, a one-stop information resource for merchants about today’s payments landscape. Designed for merchants, the site will help you evolve your point-of-sale experience, advance your brand, engage your customers and SELL SAFE. Check it out for the latest information on identifying and utilizing the latest in payments technology that helps protect both merchants and consumers. Interested in learning about all the efforts underway that serve to enhance and expand on ensuring payments security. Will you be in the D.C. area on April 23? The Electronic Transactions Association The and Underwriters Laboratories (UL) will be hosting a Payments Security Day on April 23 in Washington, DC, at the Venable Law Offices. Payments Security Day is part of ETA’s on-going series of events in Washington focusing on the implications of public policy to the payments industry. Consumer Confidence Up. Electronic Payments Drives Consumer Spending. The Electronic Transactions Association (ETA) and Strawhecker Group (TSG) recently unveiled their latest economic indicators infographic. The news is very positive — Consumer confidence, unemployment and GDP all experienced positive performance in 2014 and Q12015. Consumer spending represents 70% of GDP. 70% of consumer spending is done electronically. How do you follow up a day like yesterday’s at TRANSACT15? With a schedule like this…. Opening keynote sessions with Ryan McInerney, President, Visa, Jingming Li, President & Chief Architect, Ant Financial Americas and Frank Bisignano, Chair and CEO of First Data. Plus networking sessions and the exhibitor hall. We’re thankful for this opportunity to connect thousands of payments professionals so that we can deliver the best possible experience for OMEGA Processing Solutions merchants. It’s Day 1 at TRANSACT15 where thousands of payments professionals are converging in San Francisco and “connecting the Policy, Going Global, Investing in Startups, Retail Technology and Innovation and Security Technologies. The Women’s Network in Electronic Transactions will be celebrating 10 years of Empowering Women in Payments with keynote speaker Lisa Falzone, co-founder and CEO of Revel Systems. 200+ exhibitors featuring the industry’s latest and greatest technologies will be on the floor when the Exhibit Hall opens this afternoon. The evening will be capped off with the President’s Dinner and Star Awards Gala. We’re looking forward to learning and connecting with the best in our industry so we can provide our merchants with the best possible payments experience. More to come…..
Members of the Electronic Transaction Association (ETA) annually process nearly $5 trillion in U.S. transactions. 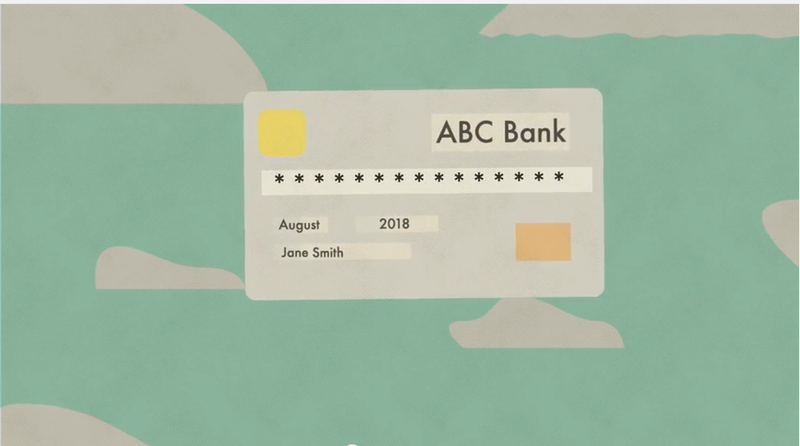 This ETA-produced video outlines the payments industry’s cyber security initiatives. You are currently browsing the archives for the Electronic Transactions Association (ETA) category.